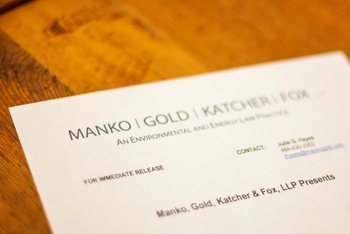 Philadelphia, PA (August 12, 2011) – Joseph M. Manko, founding partner of Manko, Gold, Katcher & Fox, LLP, the environmental, energy and land use law firm, participated in a recent program entitled "Water, Water ... Everywhere? Anywhere? Who's Going to Pay?" presented by the Urban Land Institute. Held on August 11, 2011, Manko moderated the panel held in Philadelphia, PA, at the Delaware Valley Regional Planning Commission ("DVRPC").